Collaborating with Sheep of Steel . . . 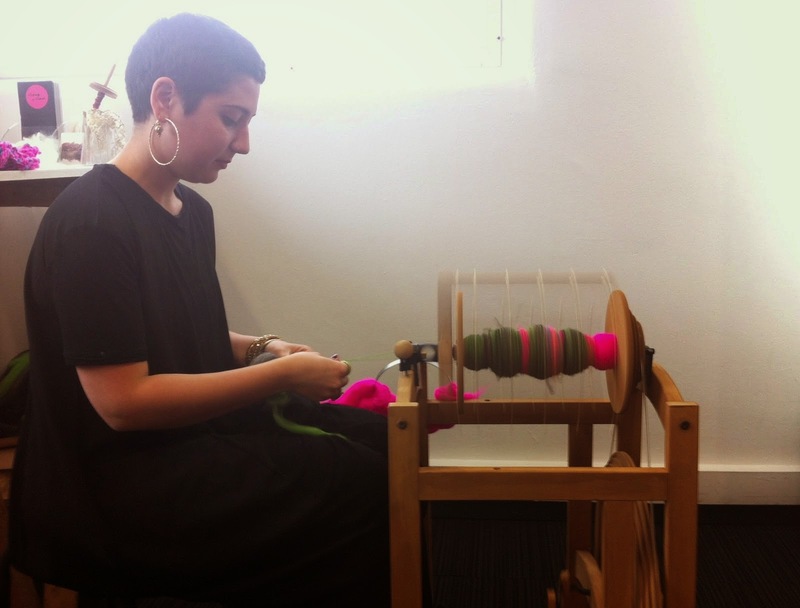 Earlier this year I was delighted to be contacted by Irem Arig, owner of Sheep of Steel, to see if I would be interested in making some collaborative scarves with her. Irem spins the most fantastic yarns and has an amazing sense of colour, so there was an proposition I couldn't possibly refuse! 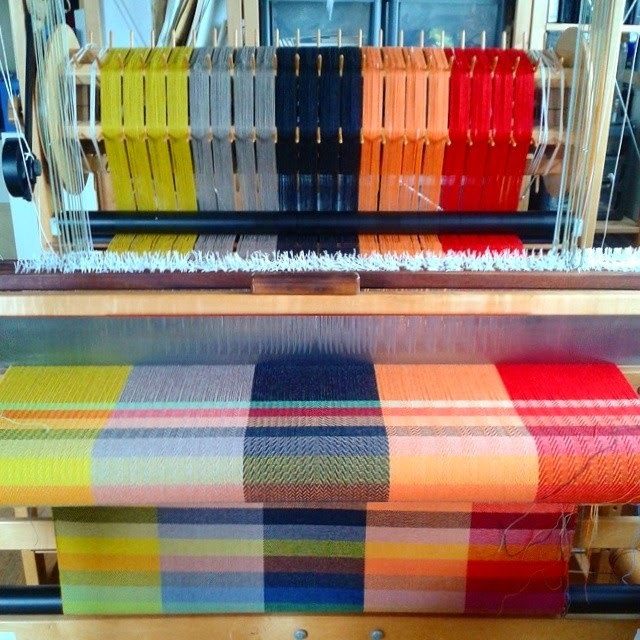 After design meetings with Irem I set up a large sampling warp ready to test out all our ideas and possible colour combinations. By the time I'd finished all the commission pieces in July we were ready to pick our favourites and get weaving the full size sample scarves. 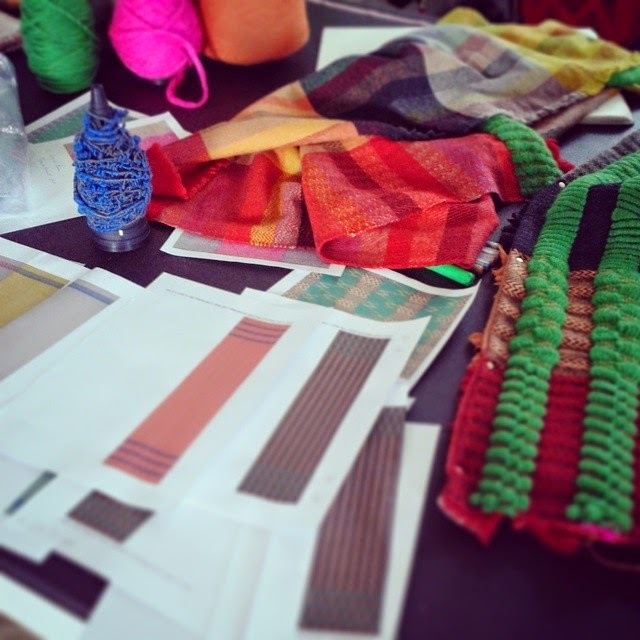 But picking just 4 designs for our first batch of scarves was no easy task! We had ideas for hundreds so we really had to rein ourselves in. So without further ado I would like to introduce to the chosen 4, Holoholo, Shamaye, Kwele and Ekoi. And where do those names come from you may ask, well honing in on our African inspiration we picked the names of African tribes. 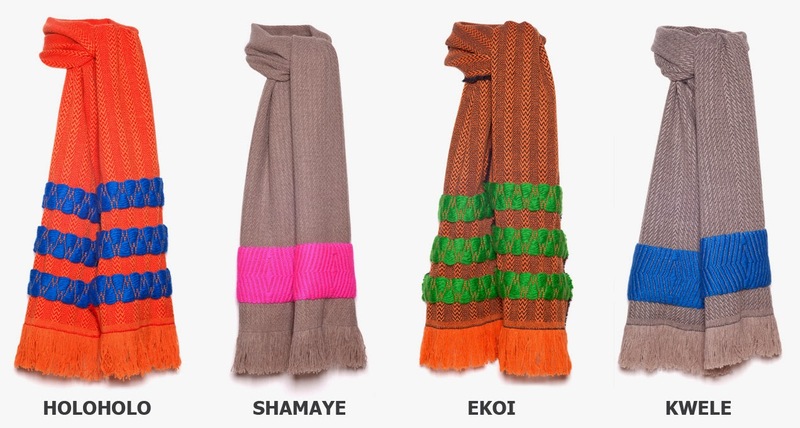 The scarves are all handwoven in small batches by myself. With our first sale heading across the pond to a customer in New York if you'd like get your hands on one for yourself you can order your very own handwoven beauty via either Irem's or my own online shop for £200. If you'd like to have a chance to try one on, Irem will be showing the collection at Handmade in Britain 2014 from the 14th - 16th of November at Chelsea Old Town Hall. Likewise if you're in the Shrewsbury area you're welcome to pop by my studio for a peek!